Owenhouse West is a dealer for Vortex Optics, a manufacturer of high quality binoculars, spotting and rifle scopes, rangefinders, monoculars, red dots, tripods, and accessories. While we do not carry the full line of products we can order any of the items found on their website and in their catalog. to fill out and no receipts to hang on to. This warranty covers all rifle scopes, red dots, rangefinders, binoculars, spotting scopes and monoculars. Tripods have a limited 3-year warranty. Their Product Repair Form is even available online. Now that’s great service! 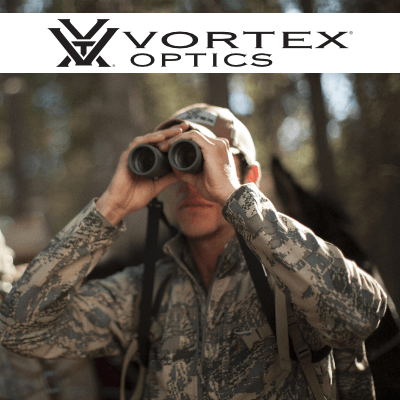 Stop by Owenhouse West to see our full inventory or to ask about ordering products from Vortex Optics.